All equipment rental requires a $250 deposit. Renter is responsible for their own performers’ insurance. Renter must make an account with SLAC and sign an electronic waiver. To inquire about space rental, please contact us at info@stlaerial.org. 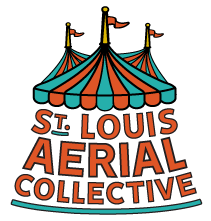 To inquire about equipment rental, please contact us at info@stlaerial.org.